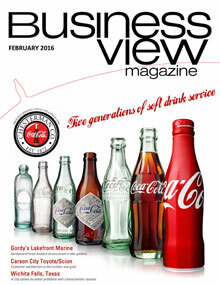 Business View Magazine speaks with the founders of VMTurbo about controlling the realm of application performance. The word “turbocharged” refers to an engine that is souped up and made greater in power by the spinning of a turbine-driven compressor. 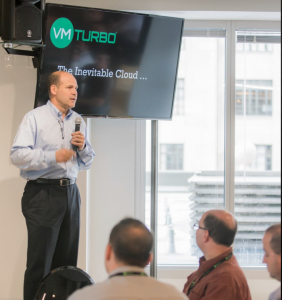 Perhaps that is why the founders of VMTurbo – Shmuel Kliger, Yuri Rabover, Yechiam Yemini, Danilo Florissi, and Shai Benjamin – named their software company to reflect the added power of a turbocharged machine. Because, according to Geeta Sachdev, VMTurbo’s Chief Marketing Officer, customers who use VMTurbo’s application performance control platform for cloud and virtual environments can see “anywhere from a 30 to 50 percent capital expenditure and 20 percent operating expense improvement” within a very short period of time. But more importantly, users can see an improvement in application performance by upwards of 40 percent. And that results in a lot turbocharged applications. Sachdev goes on to explain that over the last two decades, the increased implementation of virtualization introduced complexity with the increase in scale, making it more difficult for companies to manage growing workload demand. “Virtualization allows those servers to handle more capacity by abstracting the functionality within the server. It enables you to be more efficient and to be able to run more workloads on that same capacity. This introduces a great deal of complexity into the environment, however. The challenge now is: if you aren’t able to see the demand coming in, and cannot relate that demand to your existing supply, you will experience performance degradation. While VMTurbo helps turbocharge its customers’ bottom lines, the firm’s own growth over the past several years has been equally impressive. Through the third quarter of 2015, the company has experienced 21 consecutive quarters of record revenue growth, drawing funding from several tech-savvy investors, such as ICONIQ Capital, Bain Capital Ventures, Globespan Capital Partners, Highland Capital Partners, and Red Hat, the world’s top open source solution provider. 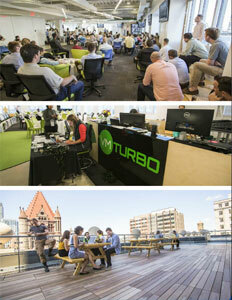 VMTurbo currently has over 400 employees and a growing global presence. Its corporate headquarters are in Boston, MA; its Canadian headquarters are in Toronto; and its European headquarters are in Reading, UK. It also has offices and engineering centers in Valhalla NY, and Manhattan, NYC. Based on the company’s rapid growth and its development of real-time application performance control as a totally new approach to IT operations management, it’s unlikely that many of the world’s largest enterprises don’t already know who VMTurbo is. And if they don’t – they probably soon will. LinkedIn – Launched in 2003, LinkedIn is a business-oriented, social networking service with more than 400 million registered users in more than 200 countries and territories, worldwide. 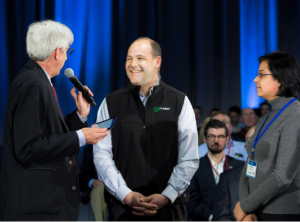 The company is headquartered in Mountain View, California, with offices in 30 cities and 7,600 full-time employees. It traded its first shares on the New York Stock Exchange in 2011. The LinkedIn site is available in 24 languages. Its users connect with one another in a variety of ways: people can find jobs, employers can search for candidates, introductions amongst members can be made, people can endorse one another’s skills, etc. LinkedIn also supports the formation of interest groups; there are about one and a quarter million such groups, most of which are employment-related, although a very wide range of topics are covered mainly around professional and career issues. There are currently 128,000 groups for both academic and corporate alumni.